As a new BTO homeowner, we had many hard decisions to make while deciding on our unit during our flat selection. For example, we had to deal with the west sun for a spectacular view. In fact most of my fellow BTO homeowners were also searching for solar films to help combat the heat. UV rays are harmful for both of us and especially on my upcoming addition to the family. UV exposure can cause fading in furniture and furnishings, premature ageing of one's skin and even increase the risk of skin cancer! It also causes cataract formation – a common problem in tropical countries like Singapore. After much consideration, we decided on a collaboration with 3M specifically on their solar films aka Sun Control Window Films. We had a discussion with their specialist who listened to our considerations and suggested to use their Prestige Window Films. - If reducing glare is your main priority, you can consider the 3M Colour Stable films. *While daytime privacy is more or less guaranteed, you may see your own reflection in the windows at night due to the reflective nature of such films. To address this issue, 3M came up with its 3M Night Vision films which are less reflective (interior side of the film), hence allowing you to enjoy a better view at night. - Excellent at rejecting heat coming from all angles throughout the day. It can protect you from the heat, whether you are facing the morning, afternoon or evening sun. In the end, we chose Prestige films for our home which according to 3M and Jestac is a more premium film type than Ceramic as they offer better performance and clarity. Also according to our needs, to reduce heat, this was the best option for us. We could get more assurance due to 5 more years of warranty! You can visit 3M’s website here for more information on Prestige films. This refers to the percentage of visible light passing through the filmed glass. A higher number means a lighter tint/shade of the film. This refers to the percentage of harmful ultraviolet (UV) light rejected by the film. This refers to the percentage of infrared light (the primary source of heat from solar energy) rejected by the film. Darker films tend to have higher infrared rejection performance. This is a metric to describe the total amount of solar energy (comprising visible light transmitted, UV & infrared light) that is rejected/blocked from passing through a filmed window. *The above performance data applies to a typical piece of film tested on 6mm thick clear glass (same as typical HDB windows), using applicable industry test methods and standards. We chose one of the lightest films! Honestly, we didn't want something too dark and the results turned out well! The installation was painless. The kind folks from Jestac – 3M’s authorized distributor for their window films – came over with their equipment (protective covers, trash bags, cleaning items) and finished the installation in a few hours. Quick and detailed installation by the kind installers. Why 3M™ Prestige Window Films? These are just some reasons that got us sold. Their films help eliminate and reject up to 97% of infrared heat from the sun. It’s one of the highest in the market, regardless of the amount of tint. The low reflection helps to enhance the clarity (so we can still enjoy our view!) and overall beauty. The films are metal free. Their technology helps to provide superior performance with no corrosion or interference with wireless communications. 3M also offers a 15-year manufacturer's warranty for fixed/sliding/top hung panels, with local and international support. I could enjoy the beautiful view with the reduced heat due to 3M's Prestige Window Films. Thumbs up! Aside from 3M's Prestige Window Films, I also had my shower screen installed with the 3M™ Safety & Security Film (Safety Series S40). You've probably read about glass shattering in the showers. To prevent spontaneous glass breakage from causing injury, I decided to install the film. Better to be safe than sorry! While tempered glass can be strong, it is also prone to spontaneous glass breakage! Scary! I didn't want to take the chance of such a situation thus I decided to opt for the installation to prevent any accidents. In case of glass breakage, the safety film helps to hold the broken glass pieces together for at least 72 hours, thus minimizing the risk of being cut by dangerous exposed glass shards. *Note that safety films DO NOT prevent glass panels from breaking even though it helps to strengthen the integrity of the glass. If you are interested in 3M's Sun Control Window Films (such as the Prestige series that I chose) and/or the 3M Safety & Security Films, you'll be glad to know that together with Jestac (3M's authorised distributor), nadnut.com will be offering a promo! From now till 30 April 2016, enjoy a 20% discount on all 3M Sun Control Window Films and 3M Safety & Security Films when you purchase via Jestac, 3M’s authorized distributor! What’s more, enjoy an additional 5% discount when you quote the promo code “NADNUT3M”! Only valid for the first 10 sign ups and for film installations covering a minimum area of 100sqft. To enjoy the promotion, simply leave your details in the link below and friendly consultants from Jestac will get in touch with you shortly. You can also request for a free consultation session at no cost or obligation! This is a sponsored advertorial by 3M and Jestac. Films were sponsored by 3M and Jestac and information were supplied and provided by them. Posted in #nadskaihome, Advertorials, Home Decor, Life and Fun, Singapore BTO Blog, Singapore Lifestyle Blog, Sponsored, Yours truly.... 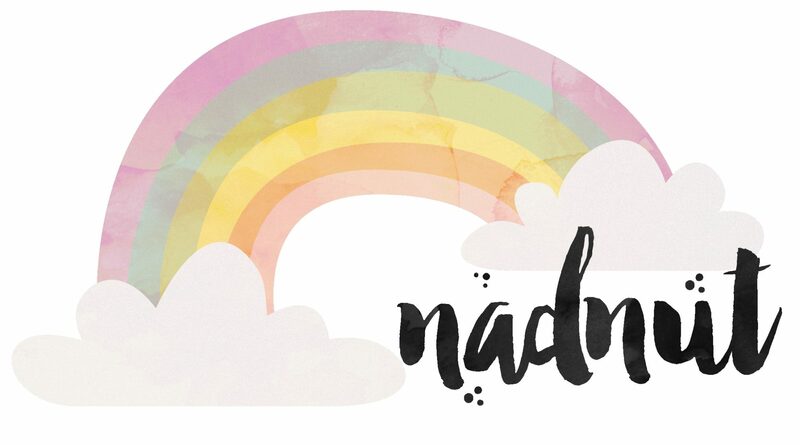 Tags: #nadskaihome, 3m films, 3M Prestige Window Films, 3M Safety & Security Films, 3M Singapore, 3M Sun Control Window Films, 3M Window Films, BTO blogger, Home, Jestac Singapore, nadnut, nadnut renovation, nadnut.com, nadnut.com - Singapore Lifestyle Blog, Punggol BTO, renovation, Singapore Blogger BTO, Singapore BTO Blog, singapore lifestyle blog on March 12, 2016 by nadnut.